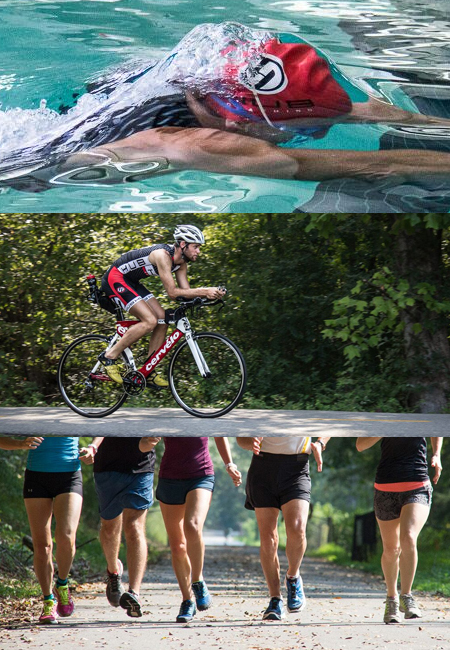 Whether you are training for your first sprint triathlon, half iron distance full iron distance or attempting to qualify for Ironman World Championships in Kona or set a personal record (PR) at any distance, we will help you get there. We have the experience and the approach to help make sure you reach your full potential. We will prescribe a variety of workouts based on your level of fitness, your experience and your goals. Each swim, bike or run session will be specifically tailored to you with specific target paces, rest intervals, and goals. Our coaching includes race specific training as well. We will prepare you for your particular goal race with workouts appropriate for the terrain, climate, and specific elements that will simulate race day conditions. We don't stop there. We also work with you on a race day plan including strategy, pacing and fueling.